In Poland: We were energized with what God is doing in and through Josiah and Brandi. In Belgium: We saw parents get a Biblical revelation of creating an atmosphere for their children to experience the Kingdom at an early age, exposing them at birth. We saw families enter into play and prayer together. We were especially encouraged with the fathers that are arising in Belgium. 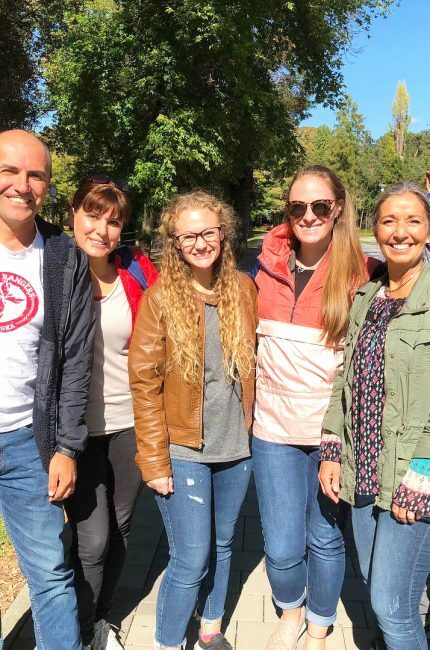 In Poland: My mother-heart was overwhelmed at how God is using Josiah and Brandi but is also granting them such favor and blessing amidst the challenges of moving to make ‘home’ in a new culture. In Belgium: When I stood to teach and my first question was “How young is too young? not knowing that the night before there were lengthy discussions in small groups about this topic. It is a shock because at first, you feel like you may have offended others, but actually, it is a wonderful feeling of knowing that God is speaking through you. How fun! The other was very emotional, as the leaders of the conference prayed over me, and a true father in the nation welcomed PI and the message of the Kingdom fully into Belgium. It was so sweet and humbling. In Croatia: We saw breakthrough after breakthrough. One was Tonka being baptized at 9 years old and for Jasmin, a national leader having the church stand and receive the message of Children and the Kingdom. We saw lights go on in people’s eyes and hearts as Randy and I ministered on the Transformed Mind. The responses ranged from looks of revelation to tears, to great laughter. I enjoyed imparting this truth to my friends that are hungry for God. We saw two churches come together in an overly joyful expression of celebration of God and encouraging each other as Randy taught on washing each other’s feet by our words of encouragement. You could feel the atmosphere change and people receive from God. One couple was going after service, to negatively confront a family member who is an alcoholic. Instead, they decided to go bless him. The couple walked away from the family member encouraged themselves. The family member called the husband and repented, asking for help at the same time that the wife was calling the church pastor’s wife with details of the day! God did a quick work! Also, in Karlovac, Randy and I stayed with a sweet elderly lady, Biba, she suffers in her feet and it pains her to walk. She reported how ‘her treasure’ is that she listens to PI tapes and talks with the Lord all day and how sweet that is! So humbling. Tonka, a nine-year-old follower of Jesus is changing her nation. After receiving Jesus and being filled with His Spirit while on her visit to Texas, she returned home and literally repented of her sins for three days. After which, she wanted to declare her love for Jesus by being baptized. 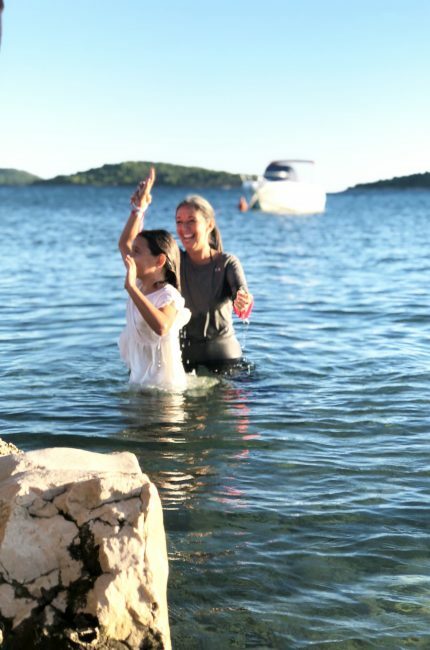 It is HIGHLY unusual and questioned if anyone under the age of 14 is baptized in Croatia. Tonka broke the mold at nine, declaring her love and commitment to Jesus. We also were impressed that during that baptism, God too was declaring His love for Tonka. It was a beautiful, joyful breakthrough event that we got to be a part. Pastors Sasa and Pastor Tomiza are changing Zagreb as they bring the message of grace and the Kingdom. Daniella, Sasa’s wife, is a successful businesswoman. While Tomiza’s wife owns her own business of ‘Story Telling’. She started with children’s parties and events, now businesses, like Ikea, are using her to teach them how to tell their stories to the public and their employees! Pastor Dean is a financial bank manager as well as pastoring. His wife Tea is also involved with human services and business. These people are changing their world with their expression of Jesus and His Kingdom through every aspect of their lives. Tell us something random and fun about the trip. I love talking in front of people. I love ‘being real’ and God showing His Kingdom through me. But one of the best things about PI is the table talk times. It’s during these times where life is shared: tears, laughter, and stories. One of the most fun moments was one night when we got to go eat with some of our friends, we told stories and celebrated living life together for 12 years. One story was when we all went on a marriage seminar on the Adriatic Sea. We were going Skin Diving. It was during my time of going through menopause and I had gotten ‘fluffy’. It took four people tugging on my skin diving suit to get me in it. It was quite hilarious as my feet even came off the ground as they were trying to pull my wetsuit over my fluffy body. We laughed until we cried. And the stories only got better from there. You are family when you share such experiences, laugh, love and cry together. Belgium is on the verge of an awakening of the FAMILY. Fathers are rising up! Please pray for the revival of the family unit! Croatia is seeing a breakthrough in the message of the Kingdom. There is a joy and a freedom penetrating the souls of the people. Pray for a maturing of the Gospel of the Kingdom. Poland is stirring as well. The pastor and KDM, Josiah and Brandi’s church, is being asked to impart to churches in multiple nations, including back home in the USA. There is an excitement and a dreaming being imparted. Please pray that as God unlocks His dreams over the nations, in all denominations, that there would be strategic implementation not only to dream bigger but live bigger.